GV Max: 602-seat and 22.4-metre screen auditorium (GV Vivocity). The Gemini: Couple seats with moveable arm rests and wide leg-room. Gold Class: Private lounge; electronic recliner seats (GV Katong, GV VivoCity and GV Grand). D-BOX: watch your movie in motion. (GV Bishan). GV ANZ Grand Seats: Luxurious recliners exclusive to ANZ Cardmembers. Cinema Europa: for well-loved classics, international award winning films among others (GV Vivocity). East Coast: GV Tampines (Tampines Mall, 8 screens), GV Katong (112 Katong, 8 screens). Little India: GV City Square (6 screens). Nature Reserves and Reservoirs: GV Bishan (Junction 8, 6 screens); GV Yishun (10 screens). Marina Bay: GV Marina (6 screens). North and West: GV Jurong Point (Jurong Point, 6 screens). 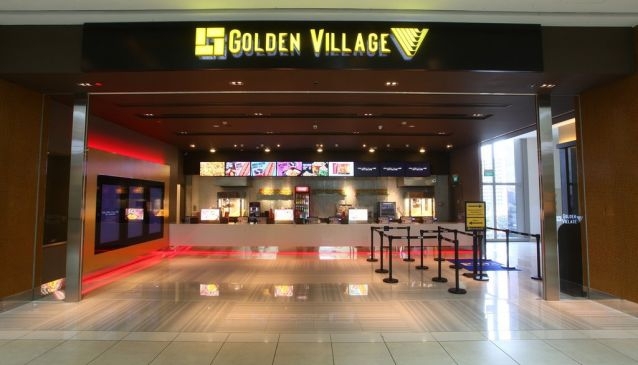 River Valley: GV Tiong Bahru (Tiong Bahru Plaza, 6 screens). Sentosa: GV Vivocity (Vivocity, 15 screens).